Nice location looking on the port of Katapola. Room number 4 on the upper floor with the tarrace making your stay unique with a nice cool nights spending on there. We stayed in a tiny room with all the basic properties and a terrace with a great view. Room had a kitchenette which was nice and we could make our own food there. Je connaissais déjà l’endroit pour y avoir séjourné en 2017, j’avais une chambre plus grande avec une belle terrasse et une super vue . A cause de la tempête à ce moment là , j’etais bloquée sur l’ile et mon logeur m’ a offert la nuit que j’ ai du passer en plus. Bref je retournerai à cet endroit avec plaisir . La vue très belle depuis la terrasse, La literie correcte. καθαρο δωματιο πολυ κοντα στο λιμανι των καταπολων σε ωραιο δρομο. ωραιο μπαλκονακι. καλη σχεση τιμησ-ποιοτητασ. ωραιο μπανιο. κοντινο parking. La localisation : proche de tout commerce, de la plage et juste en face de la jolie église de Katapola! La gentillesse de notre hôte. Amorgaia 2 is set in a quiet spot, yet just 650 feet from the port and the center of Katapola, and 1,000 feet from the beach. 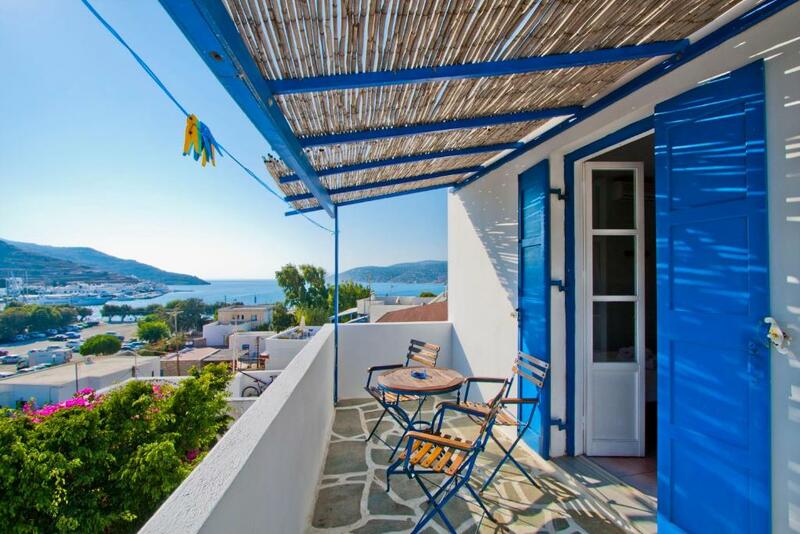 Amorgaia 2 consists of of tastefully decorated rooms with private balcony with views of the sea and the port. All the units consist of private bathroom with hairdryer, refrigerator, TV and air conditioning. Several units also have a fully equipped kitchen. When would you like to stay at Amorgaia 2? 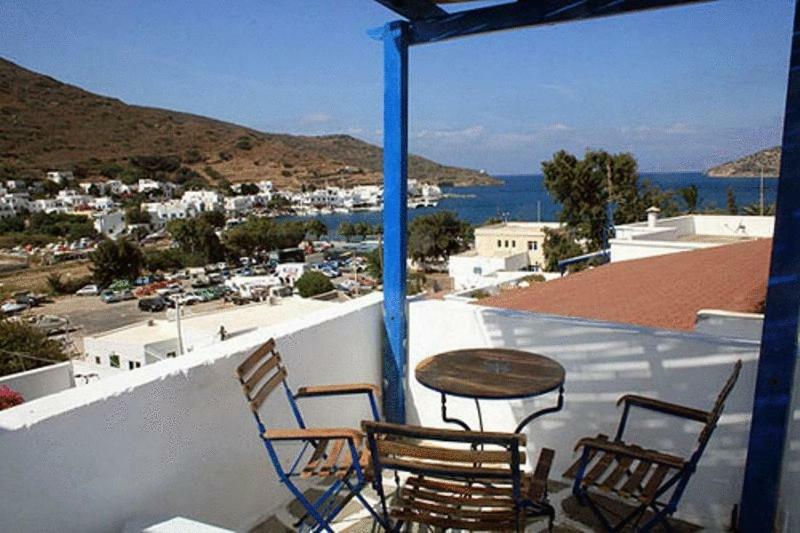 This studio offers a balcony overlooking the port and sea. It includes a hairdryer, refrigerator, TV and air conditioning. 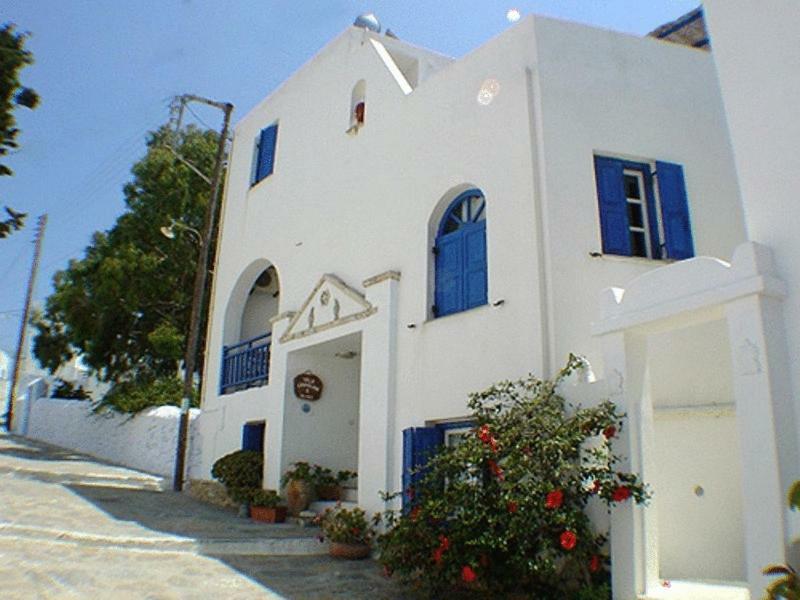 This triple room features a sea view, balcony and air conditioning. Το Αμοργαια2 ανεβαίνοντας το λοφο του οικισμου Ραχιδι είναι ησυχο με θεα ολο το λιμανι των Καταπολων, πολύ κοντα στο δημοτικο παρκινκ και την αφετηρια των λεωφορείων. 50 μ από την κοντινοτερη παραλια και 150μ από το πλοιο της γραμμης. House Rules Amorgaia 2 takes special requests – add in the next step! Amorgaia 2 accepts these cards and reserves the right to temporarily hold an amount prior to arrival. Please note that continental breakfast is served at Amorgaia 2. Great location and great view from balcony. The toilet and bathroom needs a really good clean with some strong products as the current condition makes it look horrible (room 4). Checkout at 12 but nowhere to leave bags. We were originally told we could leave our bags at the owners cafe but the girls there said no! There is also a church next door which rings it's bells at 7am on a sunday! Lovely patio with great views. In the add on Booking.com it says that you rent an apartment at Amorgaia 2 but that is not true. 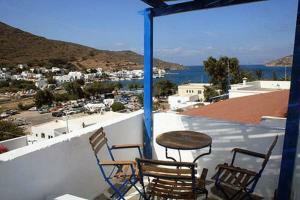 All apartments are located in villa further inland and it is long walk to the beach and the village. Bit of an impersonal check in/out since owner is not present, just house keeper who doesn't speak English or french. There was a lot of dust in the room, it seemed like no one had stayed there for a while.